People often ask us, is Money Dashboard secure? Are my bank details safe? Yodlee, our financial transactions aggregator, also provide their service to organisations like Paypal, Citibank and HSBC, and like Money Dashboard these organisations take security of your financial data very seriously. Our application security is independently tested by Security Alliance, the UK trading name of Plynt, an award winning independent web security service. Transmitted data is encrypted with 128-bit encryption via secure HTTP, using Extended Validation certified by anti-virus experts Norton. Our data policies are audited by Truste, who are independent global experts in data security. 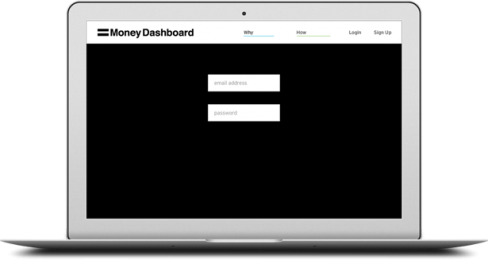 The main reason why Money Dashboard is safe to use is that it can't actually access your money! The application is entirely read-only, and can only get the transactional data (money going in and out of your accounts)  you aren't able to make any payments. Of course your log-in credentials will remain secret; no Money Dashboard employee will have access to it. In fact, Money Dashboard does not store any of this information; it is entered by the user, sent with secure encryption to your bank via Yodlee. The only information we store is the transaction data. What do the banks say about this? Different banks have different terms and conditions. Most banks will not endorse external organisations or services that they are not in control over, but several banks acknowledge the benefit of aggregating money management applications like Money Dashboard, and specifically make a distinction between secure aggregation services and non-secure portals or third parties in their terms and conditions. There's more about our security measures on the Security page.